Wearing a face mask and weighing just 32 kg, 39-year-old Vaishali Shah appeared more a lanky teenager than an adult when IndiaSpend met her in October 2018, at her one-bedroom apartment in Dombivli, a city in Maharashtra’s Thane district, 40 km away from central Mumbai in the Mumbai Metropolitan Region. Shah, a tuition teacher and mother of a 14-year-old, is an extensively drug-resistant tuberculosis (XDR-TB) patient. XDR-TB is an advanced form of multi drug-resistant tuberculosis (MDR-TB). As the names suggest, MDR-TB patients are resistant to first-line drugs such as rifampicin and isoniazid, which are used to treat the more common drug-sensitive TB. XDR-TB patients are resistant to some second line drugs as well. While TB is not uncommon in congested Mumbai, Shah’s case is unique because she is among the few drug-resistant TB patients in India who has been able to access two new oral drugs--bedaquiline and delamanid--to fight XDR-TB, along with an add-on drug imipenem. Shah received bedaquiline from a government programme; the delamanid and imipenem were donated by international humanitarian aid organisation Medecins Sans Frontieres (MSF). She, however, had to endure a delayed diagnosis and then correspond with the prime minister’s office before she finally received bedaquiline. During this prolonged ordeal, Shah narrowly escaped death. If India follows new World Health Organization (WHO) guidelines released in August 2018 and reiterated on December 21, 2018, other drug-resistant TB patients will not have to struggle similarly. The guidelines recommend bedaquiline and other new oral drugs for drug-resistant TB patients, while minimising the use of drugs with severe side effects. Through interviews with patients, advocacy groups, government officials and chest physicians over two months in late 2018, IndiaSpend investigated the challenges that Indian patients like Vaishali Shah face in trying to access new TB drugs--in particular bedaquiline. We found that while the number of patients receiving bedaquiline has increased since 2017, only 2.2% of eligible patients are currently receiving the drug. This despite India’s goal of eliminating TB by 2025, reiterated by Prime Minister Narendra Modi in March 2018. IndiaSpend also visited South Africa, which has improved bedaquiline access for its drug-resistant TB patients. In the second part of this series, we compare the South African government’s policies with India’s. As old as known history, Mycobacterium tuberculosis, the bacillus that causes TB, remains common and deadly. TB caused 3.4% of all deaths globally in 1990 and 2.12% in 2017, according to the University of Washington’s Global Burden of Disease report, 2017. The disease affected 10 million--of whom 558,000 had drug-resistant TB--and killed 1.6 million globally in 2017, according to the WHO’s Global Tuberculosis Report (GTR), 2018. India has the world’s highest share (27%) and over a quarter of all TB cases at 2.7 million, and accounted for 32% (421,000)--nearly a third of all TB deaths--in 2017, according to the report. An estimated 2.79 million TB patients are added annually, according to the ministry of health and family welfare’s (MoHFW) National Anti-Tuberculosis Drug Resistance Survey, 2016. India also has the highest share (24%) of drug-resistant TB cases--around 135,000 in 2017--of whom 124,200 (92%) have MDR-TB. Among MDR-TB patients, 31,547 (25.4%) are pre-XDR and and 1,615 (1.3%) are XDR-TB patients, according to the survey. Only 39,009 or 28% of drug-resistant TB cases were diagnosed and only 35,950 or 26% were treated in India in 2017, leaving a large diagnosis and treatment gap. Narrating the story of her treatment, Vaishali Shah speaks of regret, that had she been detected with XDR-TB early, her lungs wouldn’t have deteriorated; of anger at the way government hospitals have treated her; and of hope of regaining a healthy life. This is Shah’s second bout with TB. She doesn’t know how she got infected twice. But TB bacilli thrive especially well in land-starved Mumbai, where half the population lives in slums, with inadequate sanitation, high pollution, stark inequality and inconsistent access to health services. Many, like Vaishali, live in congested, distant suburbs and squeeze into crowded suburban trains to travel to central Mumbai. While nationally up to 12% of patients previously treated for TB were later diagnosed with drug-resistant TB, according to GTR 2018, in Mumbai as many as 11-67% are, showed this 2012 paper. MDR-TB patients are treated with a combination of drugs divided into four groups--fluoroquinolones, second-line drugs, second-line injectable drugs and add-on drugs. Pre-XDR-TB patients are resistant to fluoroquinolones and second-line injectable drugs. XDR-TB patients like Shah are resistant to one or more groups. These drugs are known to cause mild to severe side effects, including psychiatric disorders and numbness in limbs, while injectable drugs can cause hearing loss, kidney and liver impairment. The treatment for drug-resistant TB spans two years, compared to six months for conventional TB. The death rate among patients is as high as 40% in MDR-TB and 60% for XDR-TB. In 2012 Janssen Pharmaceutica, a subsidiary of the multinational pharmaceutical company Johnson & Johnson, received approval from the United States’ Food and Drug Administration for its new drug bedaquiline, under the brand name ‘Sirturo’. 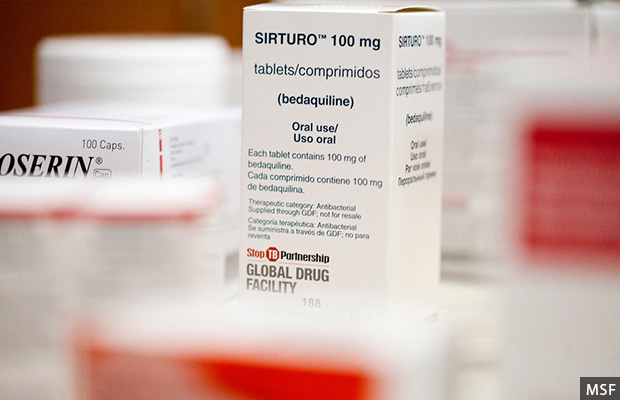 As bedaquiline was the first new drug developed for TB--a life-threatening disease--in nearly 40 years and addressed an unmet need, it received accelerated approval before the third of three mandated clinical trial phases. The FDA asked Janssen to carry a warning of increased risk of death and irregular heartbeat along with the medicine, after finding more deaths in a group of patients receiving the drug than a group receiving a placebo during the clinical trials. Janssen Pharmaceutica launched bedaquiline--the first new drug developed for TB in nearly 40 years--under the brand name Sirturo, in 2012. In the absence of a phase III clinical trial, doctors were sceptical about the effectiveness and safety of bedaquiline. However, most drugs used to treat drug-resistant TB before bedaquiline were never tested for the disease and had known severe side effects. In 2013, the WHO approved the use of bedaquiline for MDR-TB patients. Until 2018, the WHO also recommended the drug be prescribed for pre-XDR and XDR-TB only when no other regimen was found to be effective. Thus, most government and private sector doctors remained sceptical about the drug’s efficacy. Within a few years, however, bedaquiline proved to be an effective drug with reduced mortality rates. In July 2018, a group of South African researchers, including the director of the national TB programme, published a retrospective study of 19,000 patients in The Lancet Respiratory Medicine journal, which showed a halved death rate for patients receiving bedaquiline (13%), compared to the death rate of those in standard MDR-TB care (25%). For XDR-TB, the mortality rate was almost a third--15% among patients in the bedaquiline group and 40% in the standard regimen group. In June 2018, South Africa, which has 2.5% (14,000) of all drug-resistant TB patients, according to GTR 2018, also became the first country to make bedaquiline part of its treatment regimen for MDR-TB and XDR-TB, replacing toxic injectable drugs, as IndiaSpend reported in August 2018. “Bedaquiline is the best drug we have for drug-resistant TB ever, and this is based on evidence. It has enabled us to get patients back to health the quickest,” said Francesca Conradie, Ph.D, clinical research specialist at Nelson Mandela University Tuberculosis Research Unit, Port Elizabeth, South Africa to IndiaSpend. Prescribing bedaquiline to all drug-resistant TB patients and not only XDR-TB patients means more patients recover and survive, rather than restricting it to the sickest patients when it is too late to save their lives, said Conradie. In August 2018, based on safety and efficacy trials conducted across the world, including South Africa’s experience, the WHO approved bedaquiline in pre-final recommendations as a frontline drug for all drug-resistant TB patients. It also recommended removal of the injectable drugs kanamycin and capreomycin that showed higher rates of treatment failure, relapses and side-effects. This made all drug-resistant TB patients--including the estimated 135,000 in India--eligible to receive bedaquiline. The WHO finalised these guidelines on December 21, 2018. However, for now, India continues to restrict access to the drug to only the 33,161 of its drug-resistant TB patients who have pre-XDR and XDR-TB. Thus, only 26.7% of patients eligible for bedaquiline under WHO criteria, are eligible under India’s criteria. From 2013 to 2016, Indian patients could access bedaquiline only through private sector doctors, under Janssen’s ‘compassionate-use’ programme. Acquiring the drug through this programme is tedious, beginning with an online application, review by a Janssen board, applying for import permit in each individual case, dispatch, shipping and customs clearance before delivery. “Getting the drug is an ordeal. It takes us 51 days on average to get the drug in hand after we first apply for it from the company. I call it the time from ‘Will to Pill’,” Zarir F Udwadia, chest physician at PD Hinduja Hospital in Mumbai and India’s foremost expert on drug-resistant TB, told IndiaSpend on email. Udwadia first spoke about ‘totally drug resistant TB’ (TDR-TB) in 2012, when he described his patients who were resistant to all the first- and second-line TB drugs. India’s success rate for XDR-TB treatment was just 28% in 2015, according to GTR 2018, compared to 34% globally. Then, in 2016, the MoHFW made bedaquiline available through a conditional access programme (CAP), implemented by state governments, at six centres in five states--Assam, Delhi, Gujarat, Maharashtra and Tamil Nadu. CAP’s supply of bedaquiline comes from the United States Agency for International Development’s (USAID) donation programme, which has delivered 6,750 courses till September 2018, out of a total 10,000 courses to be delivered by March 2019. The CAP has seen a slow pace of patient enrolment. In 2016, the programme’s first year, only 223 patients received the drug, of whom 23% were in Delhi. Just 654 patients had received bedaquiline under CAP between March 2016 and August 2017, according to a Right to Information reply to IndiaSpend from the MoHFW’s Central Tuberculosis Division (CTD). About 1,964 patients were initiated into a regimen containing newer drugs including bedaquiline or delamanid between January and November 2018, CTD officials told IndiaSpend. Their most recent estimate of patients who have received bedaquiline through CAP till late November 2018 is about 3,000--just 9% of all pre-XDR and XDR-TB patients. Fear of bedaquiline’s side effects has been one factor in slow enrolment in CAP; another is the strict eligibility criteria, including that patients must be residents of the site providing the drug. This changed when an 18-year-old girl from Patna, Bihar, won a court case in January 2017 against a government hospital in Delhi, which had denied her access to bedaquiline because she was not a resident of the city. The Delhi High Court ordered that lack of domicile could no longer be grounds to deny access to bedaquiline, and ordered that the 18-year-old receive a bedaquiline course at Hinduja Hospital in Mumbai. Subsequently, her health improved. However, she died in November 2018 after reaching the hospital gasping for air. The delay in treatment and diagnosis had permanently damaged her lungs, and “she had a miserable end”, Udwadia told The Times of India in December 2018. While arguing the case, the MoHFW had claimed tight control was necessary to prevent patients developing resistance to bedaquiline. India’s reluctance to allow access to the drug has been widely criticised. “By denying people access to this drug [bedaquiline]--which doubles the chances of cure--they are allowing MDR-TB to spread unchecked throughout the country. And this also affects the international community given that MDR-TB is an airborne disease that does not respect country boundaries,” said Jennifer Furin, lecturer on global health and social medicine, Harvard University, in an interview with The Hindu in January 2017. In India, however, many doctors are still not convinced. “It is a process of acceptability. 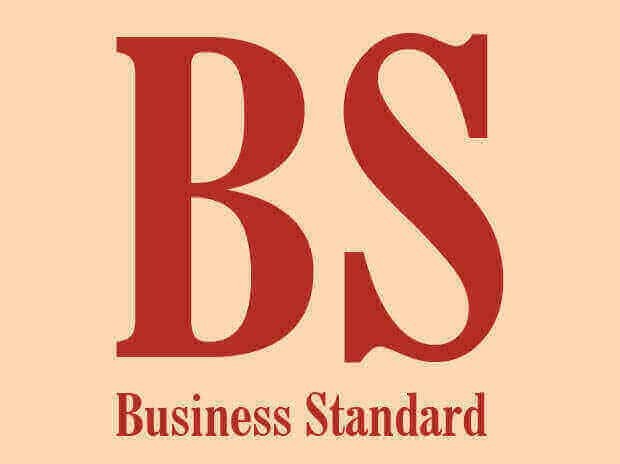 The professional community and patients have to accept bedaquiline if they have to prescribe it,” said Rohit Sarin, director of the National Institute of Tuberculosis and Respiratory Diseases in Delhi, one of the first six CAP sites for bedaquiline. Doctors not prescribing the drug is the biggest reason for India’s slow uptake, said KS Sachdeva, deputy director general, CTD. “We are holding workshops so that doctors feel confident [to use the drugs],” Sachdeva told IndiaSpend. He added that science takes its own course on adoption of new drugs, which cannot be pushed by pharmaceutical companies, patients or advocacy groups. This continuing scepticism about the drug and strict government control is leading to a long wait for bedaquiline that patients can ill afford. Vaishali Shah began treatment for MDR-TB in October 2015 and should have completed treatment by October 2017. However, in June 2017, she realised she wasn’t feeling well. Fever and weakness had returned. She did a chest x-ray and a sputum culture report. While accurate in diagnosing TB, the latter test takes up to four weeks for results. “They saw in the x-ray that TB was back in the lungs but couldn’t do anything,” said her husband Samir Shah, who works as a cashier in an agricultural market. The results were delayed due to lack of communication between the laboratory and government hospitals: Her culture report came back after 50 days instead of the usual 25. It showed that Vaishali was positive for TB. But this time, it was XDR-TB. She was started on XDR-TB treatment but further tests revealed she was resistant to four of the most advanced TB drugs. Even as the reports came in, Vaishali’s condition deteriorated. She need oxygen support and had to be admitted to hospital for a week. She sought a second opinion from Udwadia at Hinduja Hospital. “He told me that my lungs had completely deteriorated and I needed bedaquiline,” said Vaishali. The Shahs were determined to get the drug and went to Group of Tuberculosis (GTB) Hospital in Sewri, Mumbai, a public sector facility and site of King Edward Memorial (KEM) Hospital’s TB out-patient department. KEM was one of the first six sites where bedaquiline was made available under CAP. At the time, patients requiring bedaquiline were vetted for eligibility by a committee of doctors. The Shahs said Vijay Khatri, associate professor of chest medicine at KEM Hospital, asked Vaishali why she needed bedaquiline when only a few drugs were working for her, gave her a religious book and told her to prepare for death. “He said take God’s name and better prepare a will,” said Shah. That night, Vaishali suffered convulsions. “She never had convulsions before, but after hearing that she was going to die, she must have been affected,” said Samir. IndiaSpend spoke to Khatri, who the Shahs alleged was insensitive. “The family must have misunderstood,” said Khatri, adding that he didn’t remember the case but wouldn’t say those words to patients. “Only those patients who fit the criteria set under CAP could be given bedaquiline,” he added. The family countered that if, as Khatri said, Vaishali was going to die anyway, then they would want to try the new drug. Her brother Vishal Shah, who had been writing to the prime minister’s office since October 2017 after her reports were delayed, wrote more emails to the central and state TB divisions, highlighting these issues they faced in getting bedaquiline. IndiaSpend accessed four of these emails. One of the issues Vaishali Shah encountered was that patients out of Mumbai were placed under a division at GTB Hospital called DPS-4, where there was no support staff assigned for them at the time. Hence, she had to wait to be admitted. “There were rumours that patients on bedaquiline can die suddenly and so needed to be monitored, hence none of the support staff members were ready to work with these patients,” said Vishal. 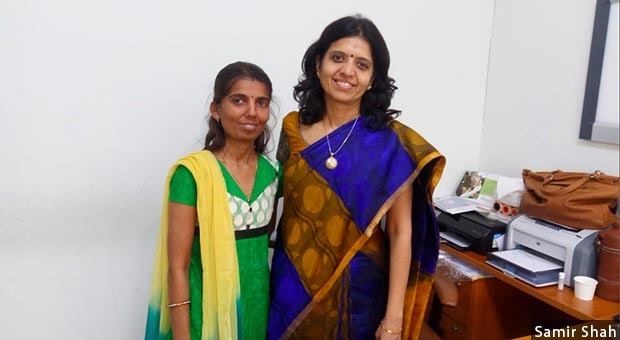 Extremely drug-resistant TB patient Vaishali Shah, 39 (left), with Alpa Dalal, consultant doctor at Group of Tuberculosis Hospital in Sewri, Mumbai, where Shah became the first XDR-TB patient from DPS-4 to receive bedaquiline. After intense follow-up with the hospital administration, Vaishali was admitted and a month later, became the first patient to receive bedaquiline in DPS-4 in March 2018. “We were told that my sister’s case has helped other patients receive bedaquiline far more easily,” said Vishal. After getting bedaquiline, Vaishali was told she also needed delamanid, and faced similar challenges in accessing that drug. Delamanid, made by Japanese pharmaceutical company Otsuka, was approved by India in 2017 but only 400 courses were provided through CAP in 21 centres across the country. Mumbai, however, is not one of the centres. Vaishali eventually received delamanid, along with add-on drug imipenem, via a donation from MSF. After the six-month bedaquiline course was complete, Dalal felt that Vaishali needed an extension of the course, but this was not part of CAP guidelines. Again, Vishal had to contact the CTD, who told him that the process has been decentralised and that GTB Hospital would be able to give her the extended dose. While Vaishali Shah was fortunate to get access to bedaquiline at the right time, 23-year-old XDR-TB patient Swetha Singh wasn’t so lucky. She died in Bengaluru’s government-run KC General Hospital in August 2018, even as the bedaquiline course that was meant for her lay unopened in the hospital. 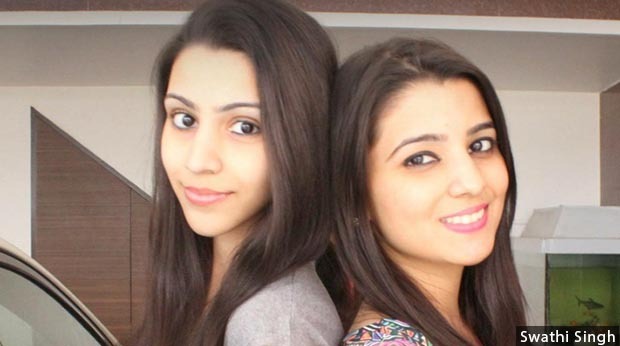 Sisters Swetha, 23 (left) and Swathi Singh, 26 (right). An XDR-TB patient, Swetha died after bureaucratic delays in Bengaluru’s government-run KC General Hospital, while her course of life-saving new TB drug bedaquiline remained unopened. Swetha was first treated for conventional, drug-sensitive TB in 2012. When her health did not improve, she was later diagnosed with MDR-TB. She underwent treatment under KS Satish at the private sector Fortis Hospital in Bengaluru from 2013 to 2015. However, despite stopping her medication in 2015, Swetha did not feel better and continued to lose weight. “Satish and his team told Swetha to work on her diet and eat better,” Swetha’s sister Swathi told IndiaSpend. When Swetha’s condition worsened in 2017, Satish treated her with first-line drugs for conventional TB. She didn’t feel any better, lost weight and had to be hospitalised after she began coughing up blood. Swetha was diagnosed with pre-XDR-TB once she was admitted to Apollo Hospital in Bengaluru in May 2018. She wanted another opinion and approached Udwadia at Hinduja Hospital in Mumbai in June 2018. Tests led to a diagnosis of XDR-TB. Udwadia told Swetha that she should not have been given first-line drugs for conventional TB when she had already been treated for MDR-TB, said Swathi. “He said bedaquiline was her only hope,” added Swathi. IndiaSpend contacted KS Satish for his response. Satish said that the second time Swetha contracted TB, they conducted a Cartridge Based Nucleic Acid Amplification Test (CB-NAAT; widely called Gene Xpert test), a second line probe assay which showed no resistance to the first-line drug rifampicin, and a drug sensitivity test showing resistance to only isoniazid, another first-line drug. “This discrepancy was discussed in chest physicians group,” he told IndiaSpend on email. Satish added that Singh had bad scarring in her lungs which caused breathlessness and coughing up of blood, and that he had told Shweta to visit Hinduja Hospital in Mumbai and Government Hospital of Thoracic Medicine in Chennai for a second opinion. Meanwhile, Swetha didn’t know how to access bedaquiline in Bengaluru. She then contacted Chapal Mehra, convenor of the support group Survivors Against Tuberculosis, who put her in touch with the state TB officer. By then, Swetha was in critical condition and needed the drug as soon as possible. After writing to state TB officials, bedaquiline was finally made available to her at KC General Hospital in August 2018. But first she would have to undergo a slew of tests to prove she was eligible to receive the drug. Meanwhile, the doctors in the government hospital kept asking if Swetha was sure about wanting to take bedaquiline. “They kept telling us that bedaquiline can cause sudden cardiac arrest. My sister was strong and said she was ready to face the side-effects,” said Swathi. In order to expedite the treatment, Swathi got all eligibility-related tests done from the private sector, but as soon as she was admitted to KC General Hospital, she was told that she would need to complete the tests again in the government hospital. “We were made to run from one block to another at a time when my sister was unable to walk without help and was on oxygen,” said Swathi. Then one day, when Swathi was on her way home from the hospital, she got a call that Swetha’s condition had turned critical. When she rushed back to the hospital, she was told that Swetha had died. “Rather than trying to ensure she was revived, the nurse said why do people like us come to the hospital,” said Swathi. M Manjula, Karnataka State (Joint Director) TB, told IndiaSpend that bedaquiline has been available in the state since April 2017 and was made available to Swetha at the earliest, but Swetha was already too sick, having had TB for six years. “KC General Hospital had adequate facilities to treat the patient and she [Swetha] was kept in the isolation ward and was undergoing evaluations before initiating the bedaquiline as per guidelines,” said Manjula. Barely two months since she lost her sister, Swathi is now taking her father, who has been detected with MDR-TB, to Udwadia in Mumbai for treatment, hoping that he will not need to take bedaquiline. “There is no clarity on the protocol for accessing the drug, especially for patients from the private sector,” Chapal Mehra told IndiaSpend. “For example, there was a patient who was from Patna but studying in Pune and getting treated in private sector. Where would he get the drug?” he asked. Mehra has often had to help patients and family members connect with government officials and keep following up to get a response. Often, late replies delayed treatment. “There are some excellent doctors in the private sector and there need to be at least a few centres in the private sector that have access to the new TB drugs,” added Mehra. Till June 2018 in Maharashtra, the bedaquiline course was only available at Mumbai’s GTB Hospital. Patients had to be referred there from other government hospitals, and had to be admitted to hospital for the first 14 days of the six-month bedaquiline course. Often, patients were turned down due to unavailable beds. Sometimes, patients who refused hospitalisation couldn’t get the drug. Those from outside Mumbai were often advised to live within the city limits for the six-month duration of the treatment. In June 2018, the process was decentralised; there are now 148 centres providing bedaquiline across India, Sachdeva of the CTD told IndiaSpend, and patients no longer need to be hospitalised. Mumbai alone now has five centres for bedaquiline treatment. Any government health facility with facilities such as physician, psychiatrist, and devices to monitor ECG, potassium, electrolyte and calcium levels, can qualify to become a bedaquiline centre, said Sachdeva. However, adequate trained staff at the health posts [government-run directly observed treatment centres] is needed to manage patients and side-effects, a doctor working at one of the five sites in Mumbai told IndiaSpend. 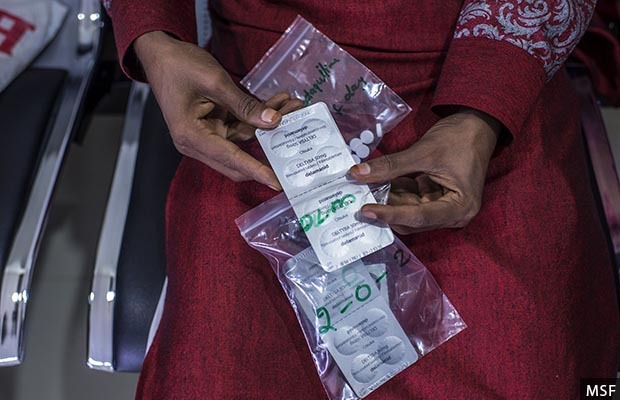 Another looming issue is bedaquiline resistance, driven by the government’s CAP where patients receive the drug for one six-month course but may need it beyond that period, said Pramila Singh, manager of the MSF clinic in Mumbai. MSF has been running this clinic since 2006 to treat patients who require treatment regimens for drug-resistant TB which are not available in the public sector. Since 2016, when bedaquiline was made available under the government’s CAP, MSF is treating patients with complex drug resistance patterns, who need more new TB drugs--bedaquiline, delamanid and add-on drug imipenem. A patient at a Medicins Sans Frontiers clinic in Mumbai with new TB drug, delamanid. India approved the use of delamanid for drug-resistant TB in 2017, but has provided only 400 courses through the government’s conditional access programme. For any effective TB regimen, you need at least four drugs that the patient is sensitive to. “For XDR-TB patients, adding just bedaquiline is not enough so we need to use add-on drugs like imipenem, which is part of WHO’s 2018 guidelines to improve outcomes,” said Singh. While WHO guidelines allow extending bedaquiline beyond six months and using a combination of delamanid with bedaquiline where required, it is not easy to do so under CAP. “Patients who stop receiving bedaquiline after six months may be left with less than four effective drugs, causing reconversion--culture negative becoming culture positive or bedaquiline failure, where both bedaquiline and delamanid would be required,” said Singh. MSF has treated about 142 patients on new drugs till 2018, of whom 100 (70%) are receiving the combination of bedaquiline and delamanid. It also treated 41 patients with bedaquiline beyond six months and found that the health of 34 (83%) improved. “Access and use of bedaquiline and delamanid in combination, for longer than the currently suggested 24 weeks, should not be denied as [it can be] potentially life-saving,” says a preliminary MSF report. Providing patients with drugs not available through government system is not cheap. A six-month bedaquiline course costs $400 (Rs 27,970) and delamanid $2,003 (Rs 1.4 lakh). Imipenem costs Rs 10.8 lakh for six months. Courier charges are $652 (Rs 45,591) for each drug. The entire cost can come to over Rs 13 lakh per patient for six months. While MSF has to buy the drugs at market rates, the government’s CAP is receiving the drugs free till March 2019 under the USAID donation programme. The big question now is, what happens after March 2019? Since 2016, MSF has been treating patients who need new TB drugs not available under the government’s conditional access programme, like bedaquiline in combination with delamanid, at its clinic in Mumbai. India has enough bedaquiline stocks to last a year, says Sachdeva of the CTD. “We currently enrol 600-700 patients a month and have sufficient stocks to carry on immediate needs,” he said, asserting that the government is equipped to ensure the supply of the drugs beyond March 2019 as well. In South Africa, with an eye to long-term sustainability, the government decided to purchase bedaquiline directly through Janssen, rather than rely on donated supplies. In July 2018, they negotiated a reduced price of $400, instead of $750, for a six-month course of bedaquiline from Janssen. “As a general rule, medicine donations are not a long-term solution to underfunded health systems,” said Leena Menghaney, South Asia head of MSF’s Access Campaign. Donations of patented products such as bedaquiline may also suppress competition from Indian generic TB drug manufacturers, who may be able to produce the drug at reduced prices of less than $200 (Rs 13,985) for both bedaquiline and delamanid courses--just 8% of current market rates. The process of developing an active pharmaceutical agent, registration with the drug authority and applying for WHO prequalification takes 1-2 years, but without government support, Indian manufacturers aren’t doing it, added Menghaney. Also, Sachdeva’s assumption that India has enough drugs for all its patients is incorrect, IndiaSpend’s analysis shows. According to enrolment figures CTD officials shared with IndiaSpend, only 3,000 or less than a tenth of 33,162 pre-XDR and XDR-TB patients who need the drug--according to India's restricted criteria--received it by November 2018. But implementation of the new WHO guidelines will make bedaquiline part of the core regimen for all 135,000 drug-resistant TB patients in India--and these are only existing cases. There are already gaps in diagnosis and treatment, with only 28% of India’s 135,000 estimated drug-resistant TB patients diagnosed and only 26% treated in 2017, according to GTR 2018. The CTD will need to accurately forecast the number of drug-resistant TB patients likely to be diagnosed. 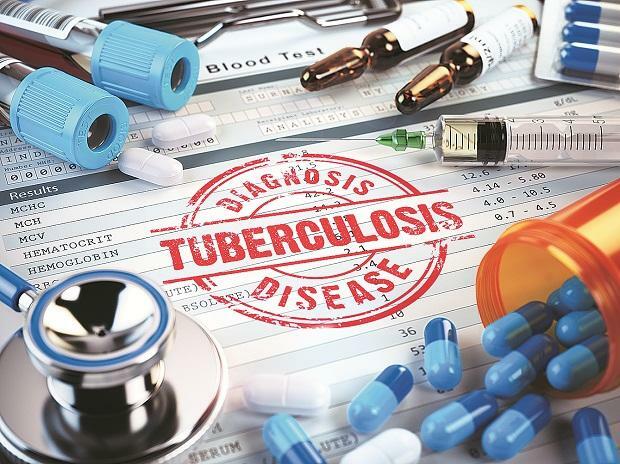 If India were to start implementing a universal drug susceptibility test (DST) on all TB samples, as it has committed to under the National Strategic Programme for Tuberculosis 2017-2025, reported cases of drug-resistant TB will rise further. However, only 257 of India’s 712 districts are offering the universal DST test, according to the CTD’s India TB Report, 2018. Only around 32% of notified TB patients underwent universal DST, the CTD informed IndiaSpend. The MSF clinic in Mumbai also received patients referred from the public sector for bedaquiline exposure, clinic manager Pramila Singh told IndiaSpend. There are no bedaquiline-resistance testing labs in India. For now, access to bedaquiline and delamanid remains restricted to the public sector. “This is done to protect the drugs. Let’s be very clear, if you lose bedaquiline and delamanid, there is no other drug available [for drug-resistant TB],” said Sachdeva. “Then the patient has no choice but to die. We do not want to waste the drugs, so their usage has to be cautious, well-informed and as per science,” he added. But the balance between caution and action is costing lives. “Government doctors we met played God. They want patients to plead and beg for bedaquiline and if you question them, they ensure you do not get the drug,” said Swathi about the long struggle to get a government hospital to finally approve a bedaquiline course for her ailing sister, albeit too late to save her life. This is the first of a two-part series on access to bedaquiline, the first drug developed to treat tuberculosis in almost 40 years. Reporting for this article was supported by Doctors Without Borders/Médecins Sans Frontières India as part of The 2018 MSF Media Fellowship.